Celebrating Ravi Shankar’s life and musical legacy of East-meets-West cultural exchange, Barry Phillips, Linda Burman-Hall and Lux Musica Ensemble (with guest Debopriyo Sarkar) present a selection of daring, experimental compositions that reflect and re-imagine the musical encounters between North India and British traditions encountered during the late 1780s. Featuring compositions by Lou Harrison, William Hamilton Bird, and Vishnu Digambar Paluskar arranged by Phillips and Burman-Hall, and an original composition by Phillips, the music of Raga & Raj is built on the affinities and attractions between North Indian and British musical traditions as they encountered each other in the late 1700s and early 1800s. 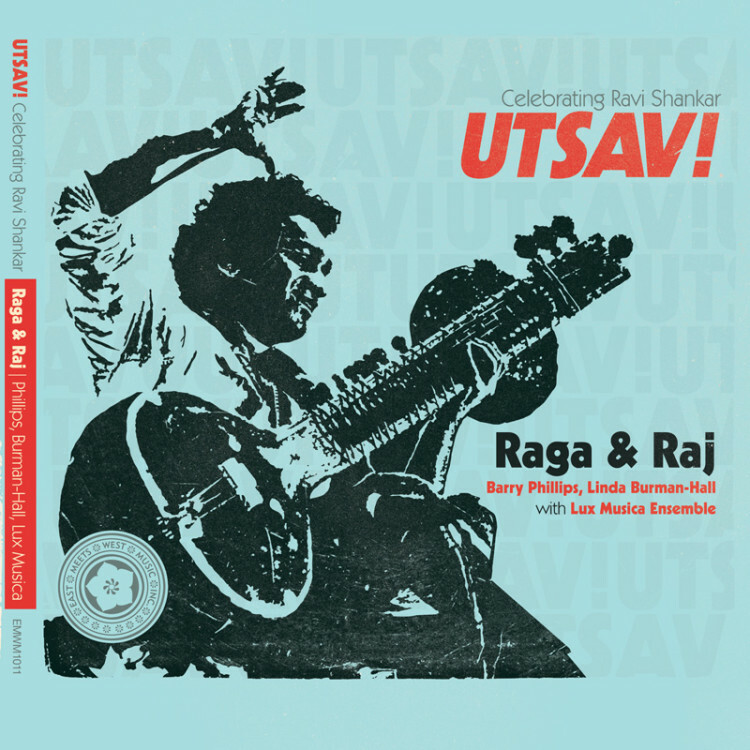 Raga & Raj reinterprets the music of that intriguing historical moment, illuminating for us the triumphs and challenges of this type of cross-cultural exchange and reminding us of Ravi Shankar’s musical mission and life’s work: Peace through Music. UTSAV! is an East Meets West Music series celebrating the life, music and legacy of Ravi Shankar, featuring musicians and students inspired by the Maestro and who continue his mission of peace through music. The first two installments include Arghyam—The Offering by world renowned classical Hindustani vocalist in the Jaipur-Atrauli Gharana tradition Ashwini Bhide Deshpande and Raga & Raj, a set of daring, experimental compositions by Barry Phillips—a long time student of Ravi Shankar—Linda Burman-Hall harpsichordist extraordinaire with Lux Musica Ensemble! Hindoostanee Airs – Tuppah – Kiakam keea dil ne?